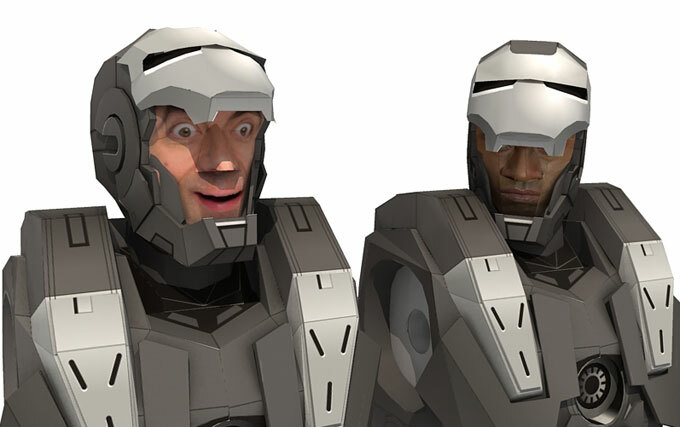 How to Replace Face Texture on Your War Machine Paper Model	. 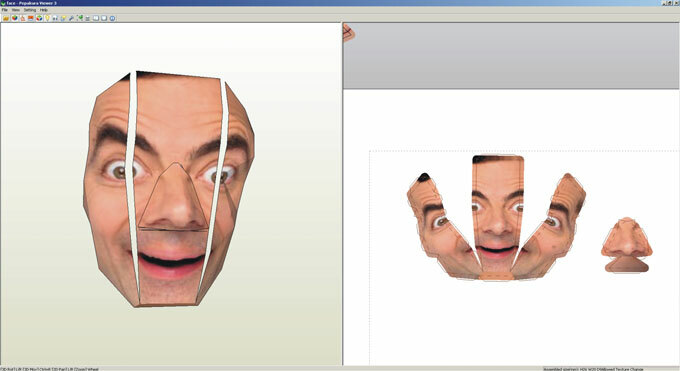 Open face.pdo in Pepakura Viewer (download here). In Setting choose Texture Setting and it will open a new dialog window. 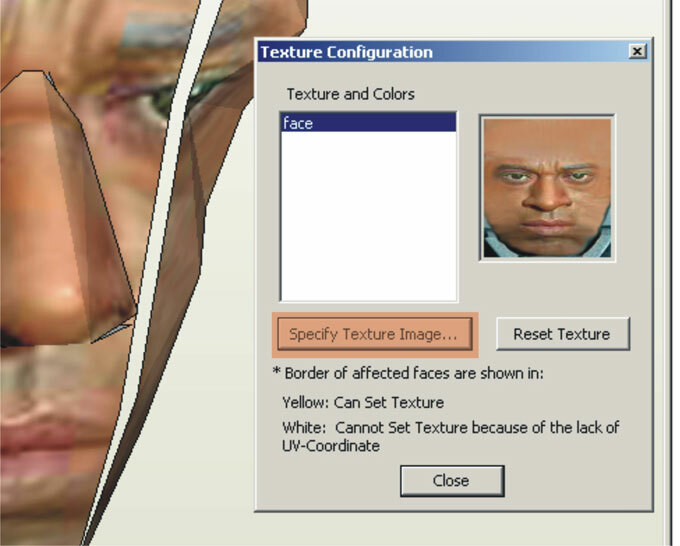 Click Specify Texture Image... button. Then choose your newly created face (face-bean.jpg) and it will brings up a warning saying "The image is too large blah blah blah" just click OK and you'll be fine. 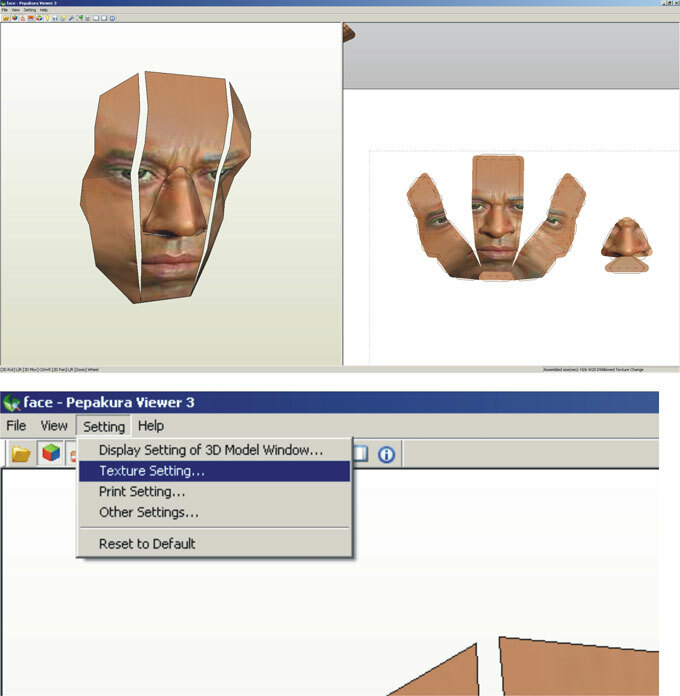 After that close the Texture Configuration window, the face templates will looks like image below.